Here is a side-by-side comparison of the floor before and after professional cleaning and restoration. After professional cleaning and restoration, the grout lines are barely visible. Notice how dark the grout lines were in this BEFORE image. 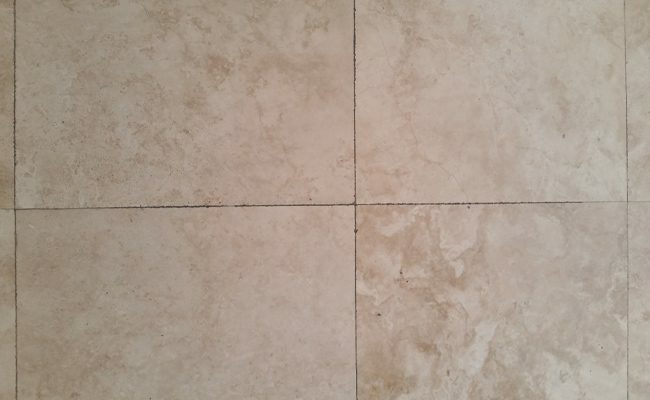 The porous grout lines of this travertine floor had become unsightly and unsanitary because of embedded food and drink spills and contaminants. 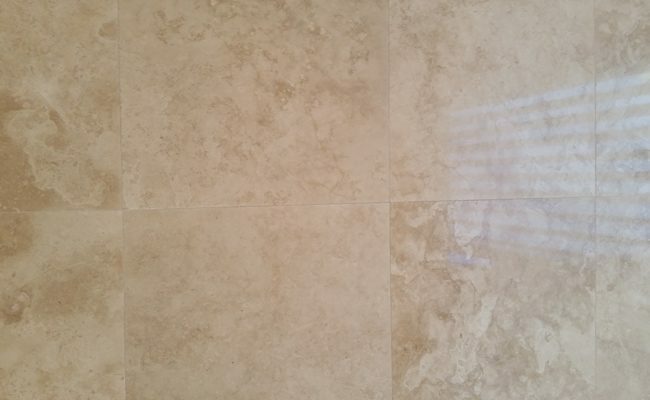 The San Diego homeowners contacted us to find out whether we could make their floors look as good as the day the travertine had been installed. We assured them our highly-trained technicians would be able to give their travertine the look they wanted. 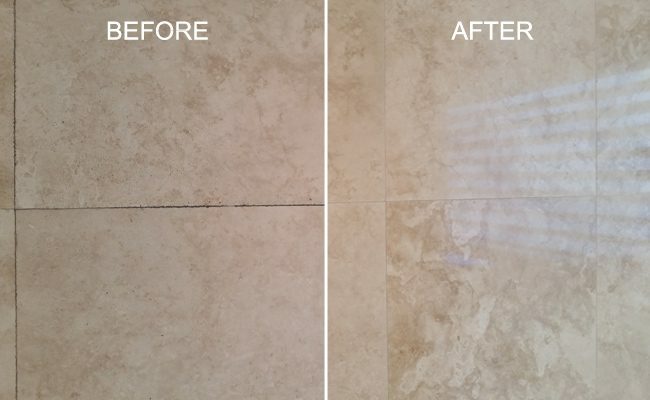 Even years of dirty build-up don’t stand a chance against our extremely effective travertine restoration process. First, we honed the floors to remove any surface damage. Then, we gave the floor a very light polish to restore it to a beautiful satin finish and deep cleaned the grout lines to achieve a natural, fresh look. Our final step was to seal the floor to inhibit staining. The homeowners loved the way their floors looked when we were done. Set-In-Stone Restoration provides travertine cleaning, honing, polishing, sealing, and restoration services throughout the San Diego area. Contact us online or call 619-246-0240 today.